Home / Uncategorized / GLASS, GLASS EVERYWHERE! 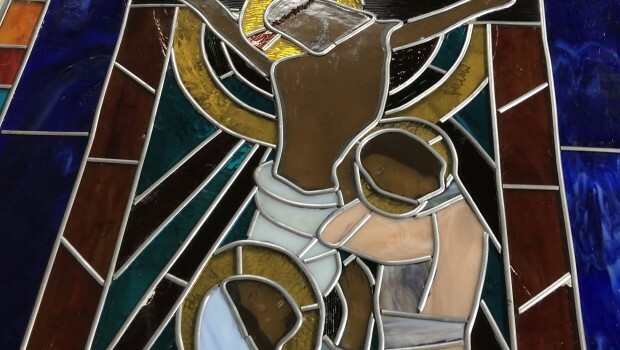 Cut glass is appearing in homes all over Boise County…and new additions to churches. Cranberry Hill is the center for that talented production in Garden Valley. It’s new studio is located at 73 River Ranch Road, phone 970-376-0027 where lessons are offered and production occurs. 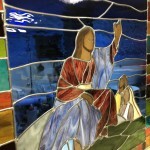 Cindy Pettit provides lessons and all kinds of cut glass innovations. The eagle window is an example. 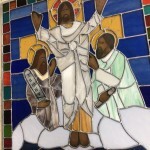 Barb Baker specializes in church windows. 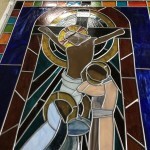 Examples of her talent are the new windows in St. Jude’s Catholic Church on Banks Lowman Road in Garden Valley. One of those is shown here.